Archaeology on the island of Raiatea serves multiple roles in terms of academic research, archaeological and ecological conservation, and cultural education for island residents. Ongoing research at Tevaitoa has helped to define the history of human activity at western Raiatea with consequences for local environmental management and community outreach. 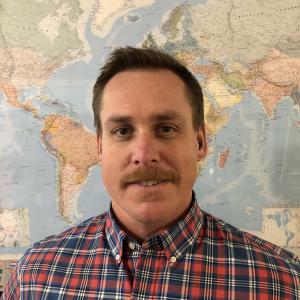 John O’Connor is a Registered Professional Archaeologist, an NSF Graduate Research Fellow, and a Ph.D. candidate at the University of Oregon Department of Anthropology. His dissertation work concerns settlement chronology and human impacts on nearshore ecosystems at Raiatea, Leeward Society Islands.